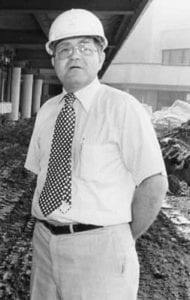 In, 1962, David M. James, Sr. founded Castone Corp. on rock solid principles that still drive the way we do business. We provide our clients with the highest quality product on time and on budget. We serve our clients with integrity and sincerity. We believe in long relationships earned by being a trusted business partner. We spend our energy finding the best answer, being collaborative, and enjoying the process of creating for our clients. We provide value to our clients and the communities we serve. Using those strong beliefs as our foundation, we manufactured our first job in August of 1962. It was for Maxwell Air Force Base in Montgomery, Alabama. The Contractor was Dyson and Company INC. Since those first days, we have been part of changing skylines from Miami to Charlotte, Charleston to Dallas and everywhere in between. We have helped build stadiums, arenas and domes. We have been part of teams constructing campuses for universities and corporations. We have helped craft residential buildings, parking garages and churches. We have done what our clients have needed, always pushed by those founding principles. Being a part of building the south is a privilege we appreciate greatly and better yet, is the honor of still working with some of David’s first clients. Our portfolio reflects the vision and imagination of architects and contractors brought to life through our thorough and relentless focus on quality and process. We know creativity, collaboration, and the best technical expertise mean your project will be managed to successful completion. We are API certified, adhere to strict PCI guidelines and have been recognized in the industry. This year, we are celebrating 15 years with no lost time. Ultimately. our goal is for your project, your experience to be exceptional. Being one of the oldest precast companies in America, Castone has worked on over 4,000 projects with numerous contractors. Through all those years, we are more committed to those founding principles. Yes, quality on time and on budget, integrity, sincerity and finding the best answer. We continue to be committed to earning long relationships through trust, providing value and caring more than everyone else. David’s sons, now, lead the company, but the real legacy is built by seeing your project change the landscape of the south. That is rock solid.